Developers behind Coinye, the only crypto-currency to use a hip-hop visionary’s likeness as its theme have called it quits. The creators of Coinye, who remain anonymous, intended it as a widely democratic alternative to more popular online currencies like Bitcoin. Kanye West’s lawyer Brad Rose sent a cease-and-desist letter Jan. 7, right ahead of the currency’s launch but Coinye’s developers appeared undaunted. West’s associates then filed a trademark infringement suit Tuesday, according to the New York Post. 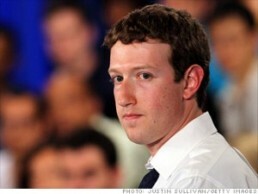 Mark Zuckerberg’s new challenge: Eating only what he kills.